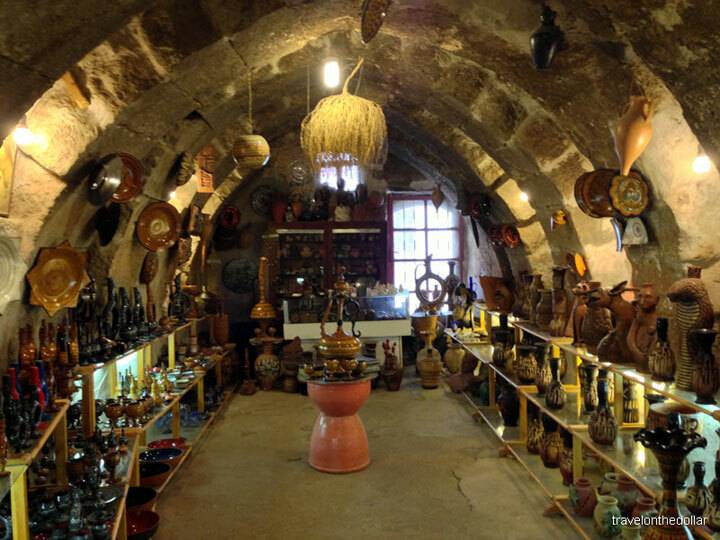 Avanos is located about 7 km north of Göreme and the most famous historical feature of this place, which is still relevant and very visible today, is its production of earthenware pottery, which is also the most economic activity in the town. 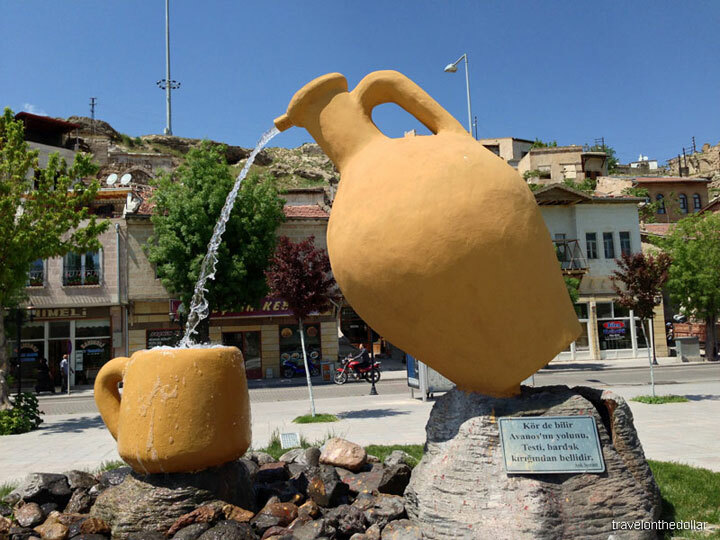 The ceramic trade in this district and its countless pottery factories date right back to the Hittites, and the ceramic clay from the red silt of the Kızılırmak has always been used. It is a popular destination because of its attractive old town with cobbled streets, and views over the river. 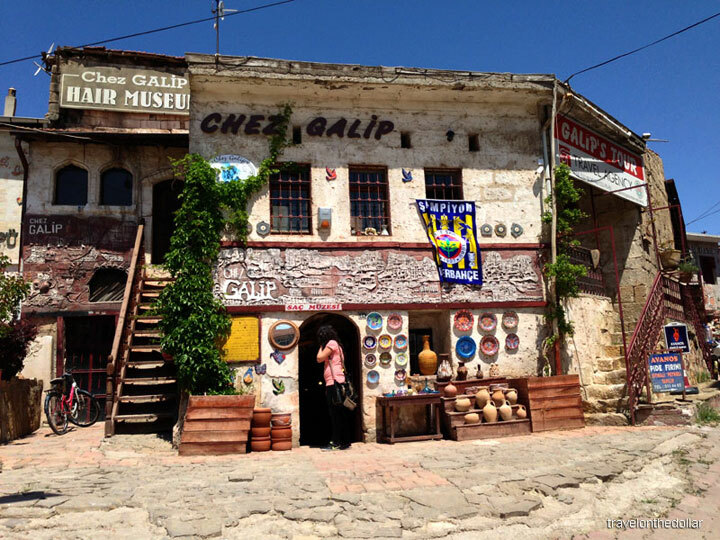 Another bizarre attraction of this town is the “Chez Galip Hair Museum“. 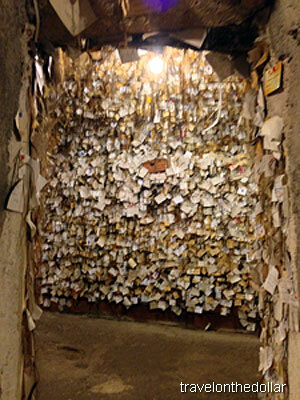 The unusual establishment, located under Master Galip’s pottery shop, is filled with hair samples from over 50,000 women. 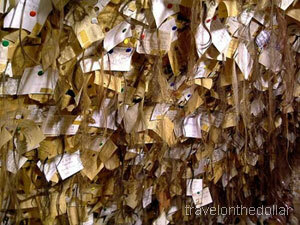 The walls, ceiling, and all other surfaces, except the floor, are covered with locks of hair from the different women who have visited this place, and pieces of paper with name, addresses and phone numbers on them. The story goes that the museum was started over 30 years ago, when one of Galip’s friends had to leave Avanos, and he was very sad. To leave him something to remember her by, the woman cut a piece of her hair and gave it to the potter. Since then, the women who visited his place and heard the story gave him a piece of their hair and their complete address. Throughout the years, he has amassed an impressive collection of differently colored locks of hair, from women all around the world. Respecting the privacy of the women, photography is strictly prohibited. Take the ‘Avanos’ municipality (Beleyedesi) bus from right outside the Göreme bus station (every hour, arrives at the bus station between 10-15mins past the hour), and get down at the big mosque in Avanos (after the bus crosses the Kızılırmak river). From the front of the mosque it’s a straight up, 200 meters walk to Chez Galip’s pottery shop. In case if you are lost, just ask anyone in Avanos and they will direct you to the shop. 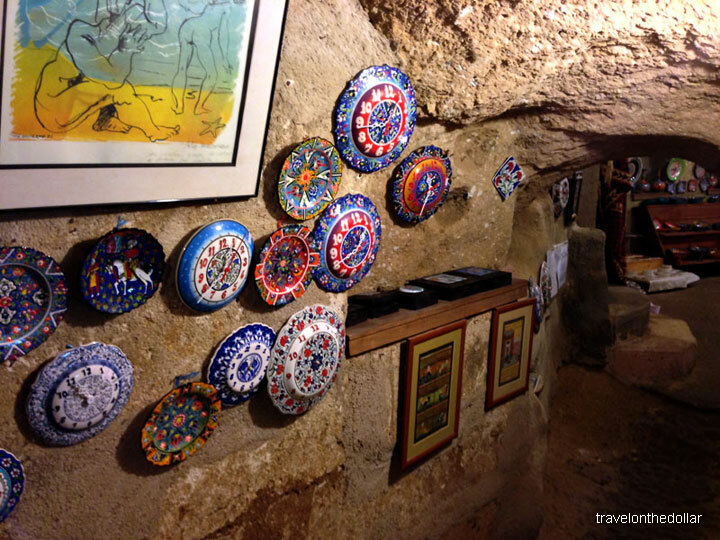 This small town hosts the only one, yet best attraction of Cappadocia – The Uçhisar Castle. This natural rock citadel is the tallest point in Cappadocia, visible for a great distance from the region’s other towns such as Ürgüp and Avanos. Apart form the numerous hotels, inns and pensions, Uçhisar (pronounced ooch-hee-sahr) the main reason visitors go there is to climb to the top of the hisar, the tall rock outcrop via tunnels and enjoy the spectacular panoramic view, the best view of Cappadocia except for that which you get from a hot-air balloon. The view from the top of this massive rock with a number of rooms carved into it is well worth the price of admission 5L. The path to the top is strenuous but short, mostly stairs and relatively safe. 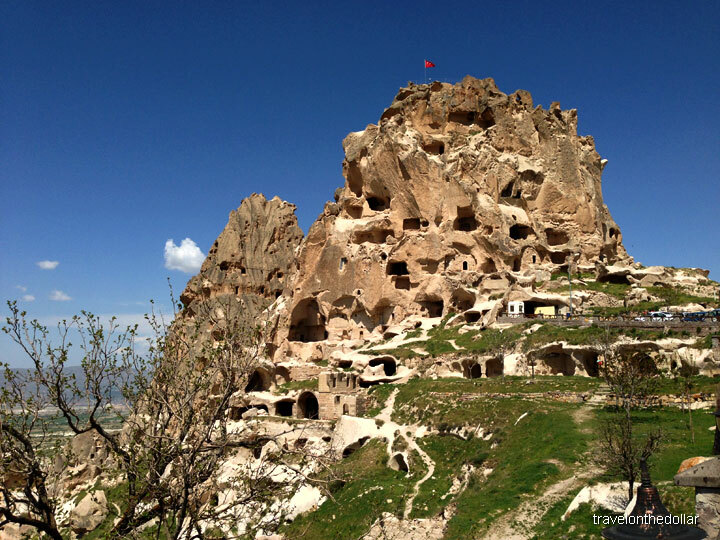 Another attraction of Uçhisar is the Güvercinlik (Pigeon) Valley, which can be hiked between Göreme and Uçhisar. 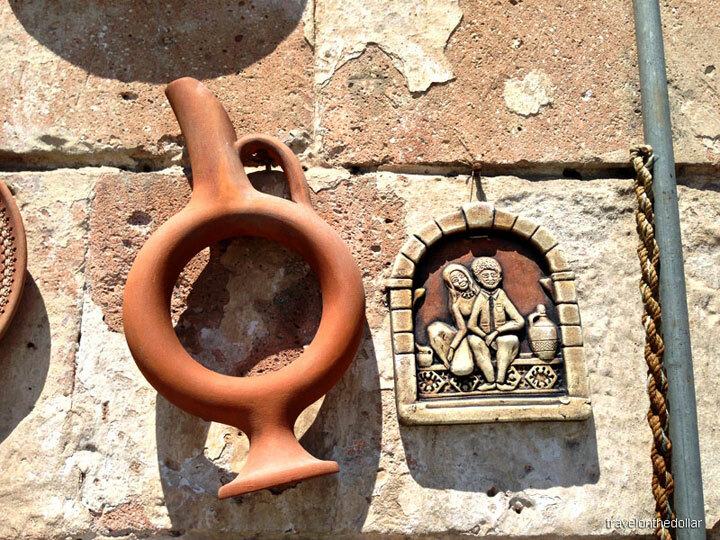 The 4km trail starts from the road near the Ataman Hotel on the south side of Göreme or on the paved road on the north side of the hill where Uçhisar Castle sits in Uçhisar. Both trailheads are signed. Stick to the more traveled trails and you will have no trouble finding your way on this moderately hilly hike. The path through the valley offers spectacular views of the natural cliffs and the man-made caves and passes through a few tunnels carved into the rock. Make sure to have a meal at Elai restaurant looking over stunning, panoramic views of the Cappadocia valley. They also have the Sufi whirling dervishes dance on some nights. Check the restaurant for performance timings. 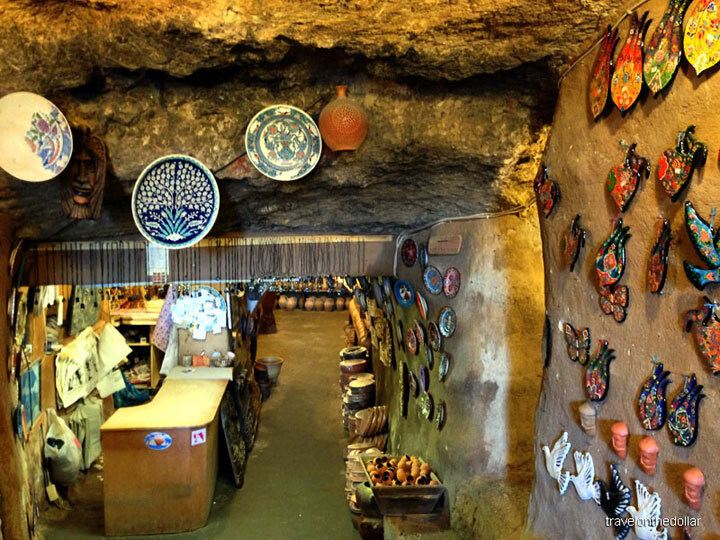 From Göreme bus station, the dolmuş to Nevşehir runs every 30 minutes from 5am to 11pm. It takes 10 minutes to reach Uçhisar, which can be walked as well. The dolmuş called “Göreme” has a board on the windshield saying “Uçhisar, Nevşehir” and costs 2.50L one way. Breakfast in Avanos TL 10 or $5.50 Coffee with milk, eggs, bacon, toast etc. Visit to the nearby towns of Çavuşin & Paşabağ, and Kaymaklı underground city.